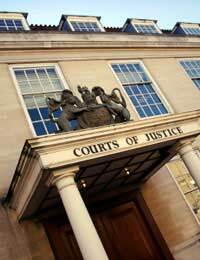 The Criminal Cases Review Commission is an independent body that examines criminal convictions and sentences. Uniquely, it has the power to refer cases back to the Court of Appeal (or Crown Court, if the appeal is from a decision made in the Magistrates’ Court) if it considers that a conviction or sentence is unjust. The Commission can review decisions made by Crown or Magistrates’ courts in England, Wales and Northern Ireland. The CCRC are able to investigate cases and carry out their own investigations. In that respect they have wider powers than, for example, a solicitor acting in your case. For example, if your case alleged jury contamination the CCRC may be able to interview jurors who sat on the trial whereas this would be quite difficult for a solicitor to do. They are able to identify fresh evidence (where such evidence exists) but cannot simply conduct a re-run of the trial as it existed at the time. What Can The CCRC Do? In most cases, you will need to have had your appeal refused by the Crown Court (if a magistrates’ court case) or the Court of Appeal if you appealed from the Crown Court. You do not need to have had a full hearing at the Court of Appeal (three judges), a refusal by the single judge is sufficient. It is important to note that the CCRC quite rarely refers cases back to the Court of Appeal, and that they are unable to find that the majority of cases sent to them are unjust in law. Similarly, even if you are able to convince the CCRC that you are not guilty, this does not necessarily mean that your case can be referred back to the Court of Appeal. There must be new evidence, or a fresh legal argument that can be submitted, which must be convincing and could potentially have changed the entire outcome of the trial, had it been known at the outset. How Do You Apply To The CCRC? If you are eligible for legal aid, it is possible to get a solicitor to help you make the application. If you are not eligible for legal aid, you can either pay a lawyer privately to help you or make the application yourself. All of the application form is in plain English so it is possible to do on your own. A lot of people find, however, that it is useful to have a lawyer to help them through the process. This is because legal advice can identify the issues in your case and narrow them down to the ones that should be concentrated on by the CCRC. What Types Of Cases Get Referred Back To The Court Of Appeal? The key question is whether there is in fact a real possibility that referral back to the Court of Appeal may result in the conviction (or the sentence) not being upheld. For convictions, this means that either there is fresh evidence, or evidence not raised at the trial or the appeal and for sentences, if there is a fresh point of law or new information that was not raised at the trial or the appeal. It is only in exceptional circumstances that the CCRC can refer a case to the Court of Appeal before the case has been ‘knocked back’ by the Court of Appeal. I can only direct you to the gov.uk link here , which outlines the process of appeal. I am facing legal fees of over two thousand pounds for a case i was innocent of and pleading not guilty to.This case was dropped at the intermediate diet and never went to trial.As i have never been through this system before,it is one that is leaving me with a feeling of injustice.Can you please give me any advice possible,in how to tackle this feeling of injustice.